Halloween Countdown - 1 more day! "Christmas Jingle" cards -- 18 of them! 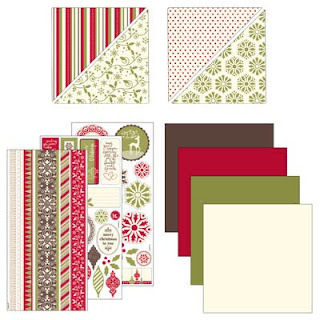 Woooweee... loads of fun and easy cards using the "Christmas Jingle" Scrappin' Kit! 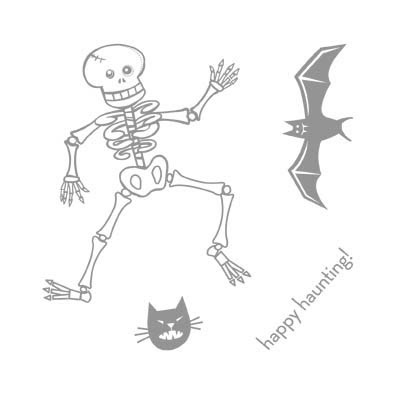 We'll be making cards & tags a-plenty on Friday for our class. Halloween Countdown - 3 more days! 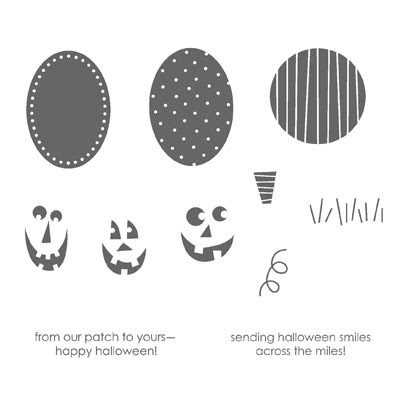 Sneak a few spooky greetings into your Halloween. 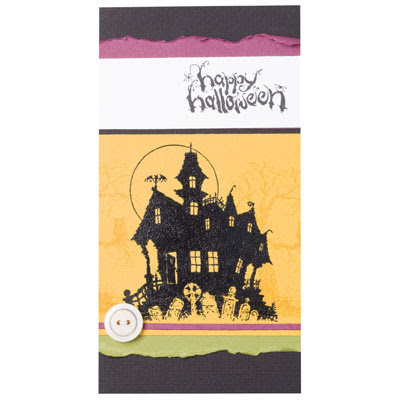 This creepily cute Halloween card will be sure to thrill your friends and family, as the embossed haunted house adds a totally touchable feel. Halloween Countdown - 4 more days! 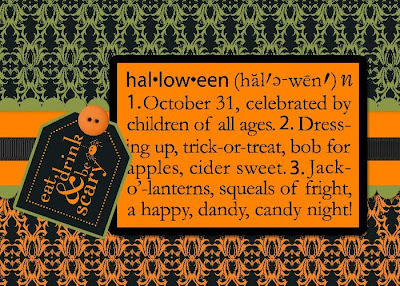 Do you know someone who needs a refresher on what trick or treating is all about? Of course not! 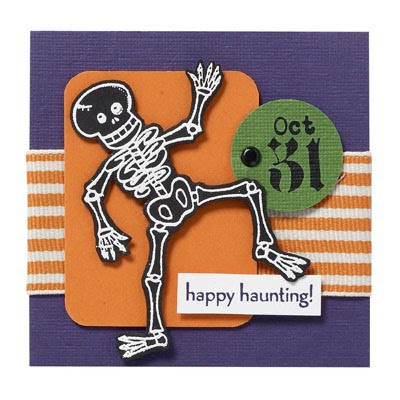 But don't let that stop you from sending this fun Halloween card... it's easy to create a multicoloured image from one stamp by using markers. I know I shared this video earlier in the month with my e-newsletter recipients, but here it is for the rest of you! 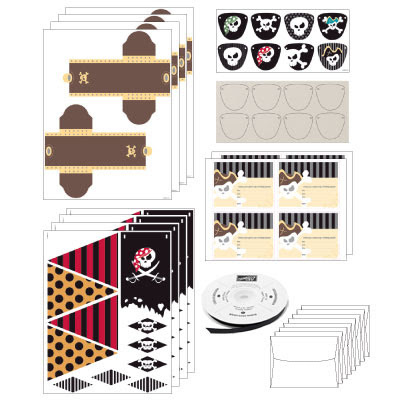 More Medallion class cards + marble tile! Hello out there in Bloggie-Land! Here are 3 more projects we are making for the Medallions card class on Wednesday... don`t forget to go back and check yesterday`s post if you missed seeing the first card. Bling galore! We even glitterized the brads and changed the colour of the ribbon to suit our project. Last but not least, I love the Chalkboard technique... so stunning to see images come to life on the black background. "Canadians, INK!" gals, the instructions for this class have been posted to the Team Blog for you to enjoy. Halloween Countdown - 5 more days! 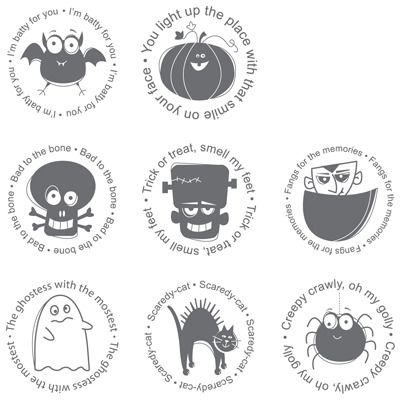 No bones about it--Halloween is a great time to remind your friends that you're thinking of them. 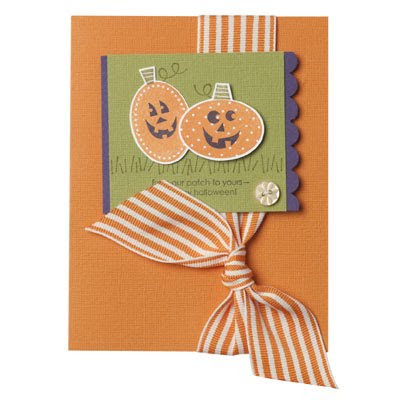 The cheery embossed skeleton and bright colors on this card will set the mood. 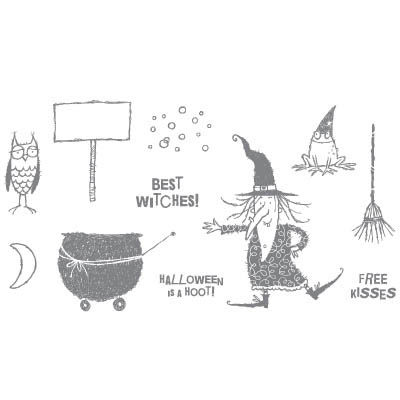 Halloween Countdown -- 7 more days! 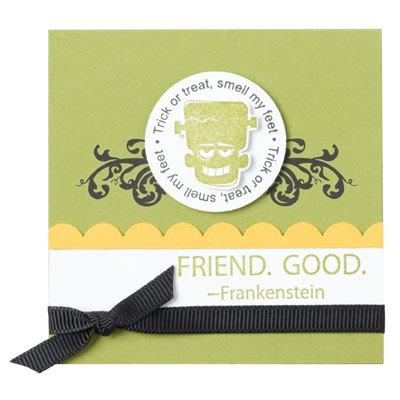 Frankenstein nailed it: friends are good. 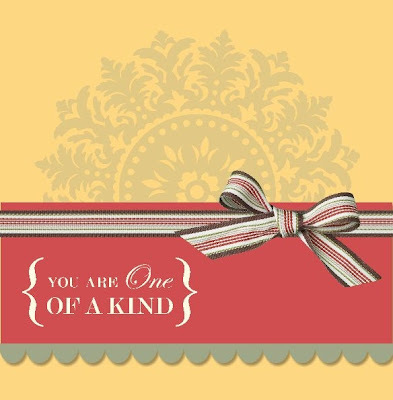 Let yours know you're thinking of them with this cute greeting card. Small enough to tuck into a wallet or book, it will remind them of your friendship whenever they see it! 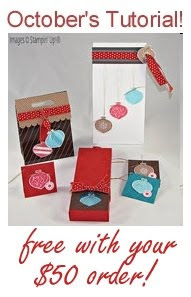 Working on holiday gifts? 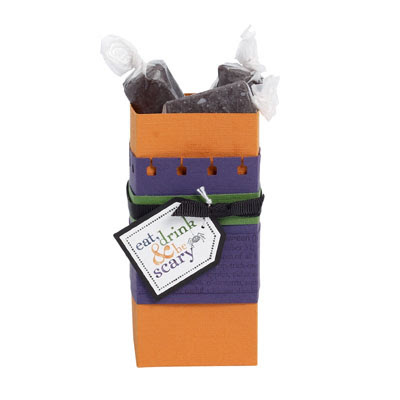 How about a "Happy Kwanzaa" candle! 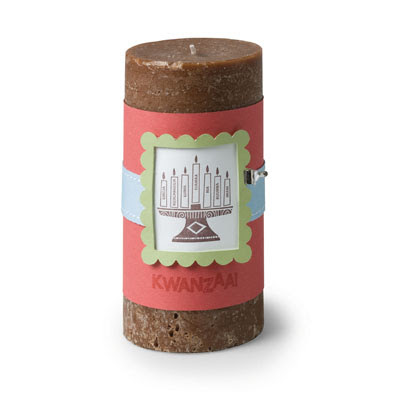 Here's a Kwanzaa candle for you to make, using the mini library clips currently on sale as part of the "Deals of the Week" promotion. 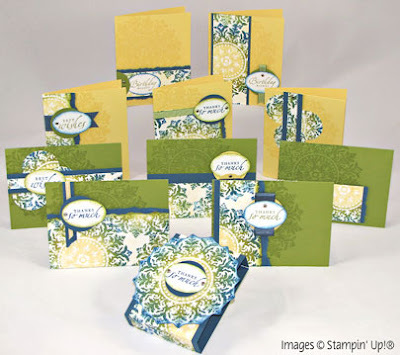 Since I announced yesterday the latest DEALS OF THE WEEK from Stampin' Up! 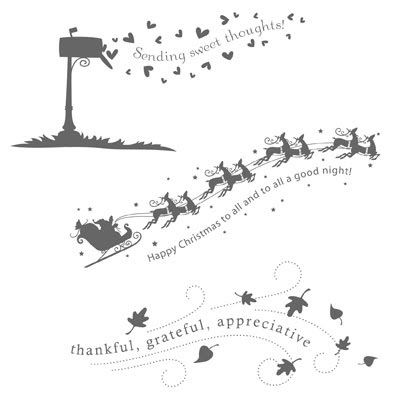 which included the little mini library clips, here's a seasonal card sample for you that uses them. Please note that our "Canadians, INK!" Stamp & Share that was originally scheduled to be held today has been cancelled, due to my ongoing bout with the flu. Sorry to have to miss you! 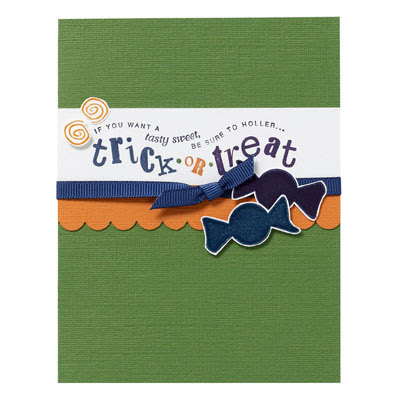 Deals of the Week -- 4 fun embellishment packs on sale! 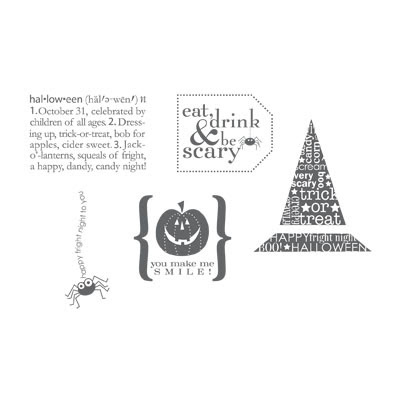 This week's DEALS OF THE WEEK from Stampin' Up! 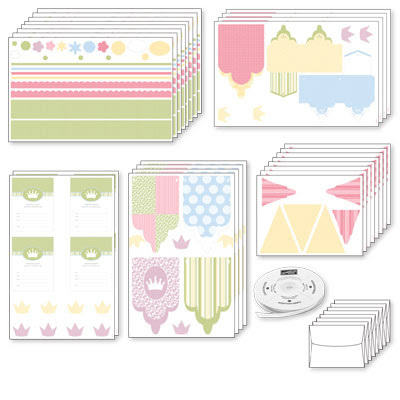 include 4 different fun sets of embellishments for your cards & paper crafting projects. ...and it's another Halloween item! 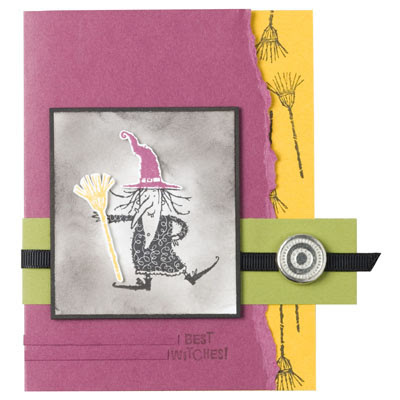 Today's post is a "Best Witches" card, using the Halloween Hoot set. Don't forget to stop by booth #121 at the show to say hi!